For many people, he internet is a technological book where you can see everything you haven’t seen before. It is like a cave of wonders where people get instantly famous if there is something unique or something entertaining about them. After all, we love anything that makes us smile or laugh for the day. 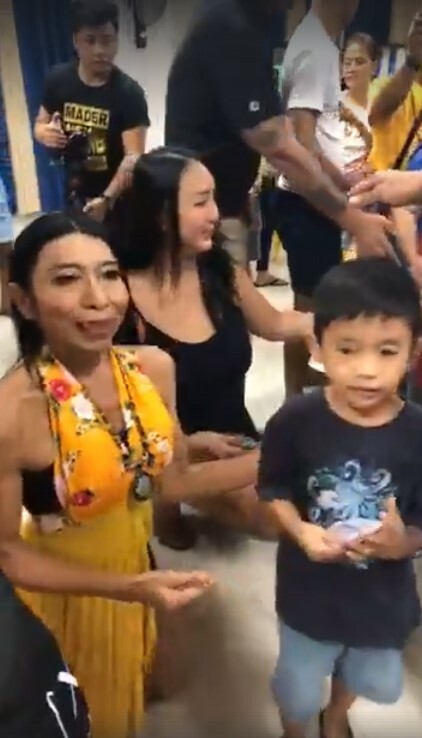 Mader Sitang is a Thai transgender woman who became famous online because of her hilarious videos. She was able to capture the hearts of many social media users because of her ability to make people laugh with just her small movements. And one of the most remarkable story about her is that she sent help in the Philippines when Leyte was hit by Typhoon Yolanda. And because of that, many Filipinos started to love her. 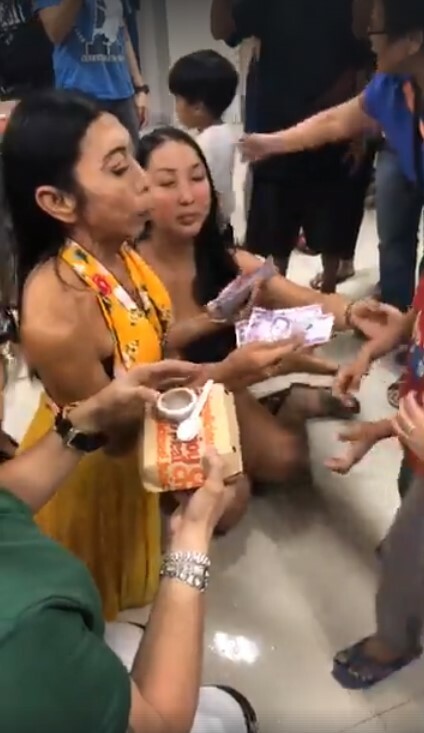 And it is now every Filipinos’ pride that Mader Sitang is here in the Philippines to pay a visit. The online sensation is here in the country to perform in many different shows for the Filipinos. Her vist was made possible by Wilbert Tolentino, former Mr. Gay World finalist and businessman. Wilbert is also her international talent manager. 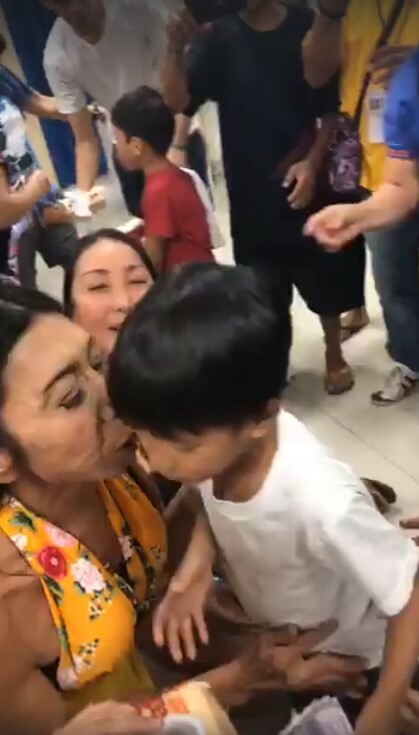 “Mader Sitang will stay in the Philippines for a few days. In December, Mader Sitang will go to Europe for a series of shows and personal appearances,”says Tolentino, also founder of Web Marketers Specialist Association of the Philippines, Inc. (WEMSAP). 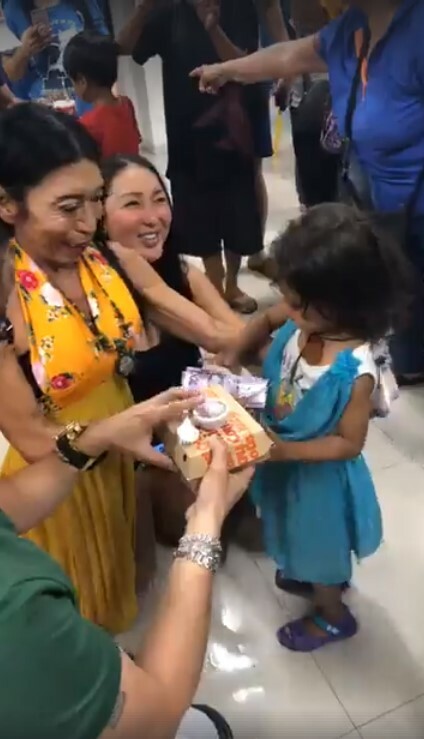 Shortly after her arrival, Mader Sitang caught the attention of many social media users because theu very first thing she did is help many Filipino children. She was reported to have handed P500 to a baby she saw in the Luneta Park. 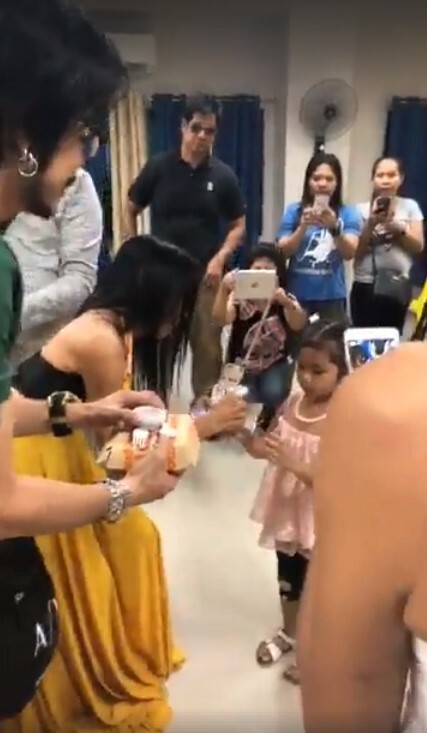 And this time, a video of Mader Sitang and her team was captured giving Jollibee meal and P200 to children of Brgy. Mariana. She said that this small present served as her early Christmas gift for them.